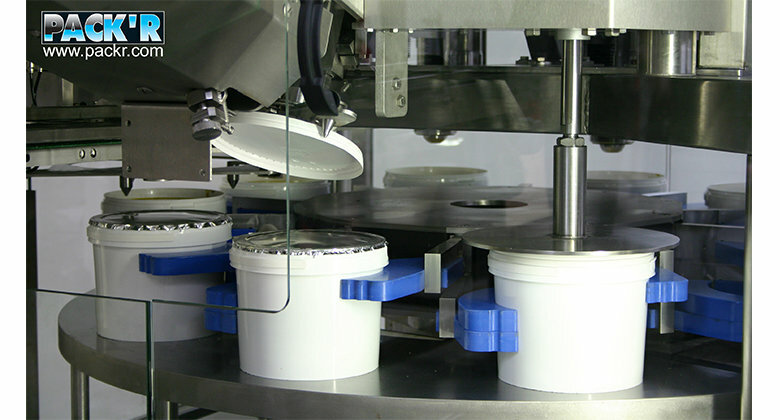 A range of extremely adaptable machines that are rotary in design, but operating on a step by step (indexing) basis. 10cpm on a 25 litre container. 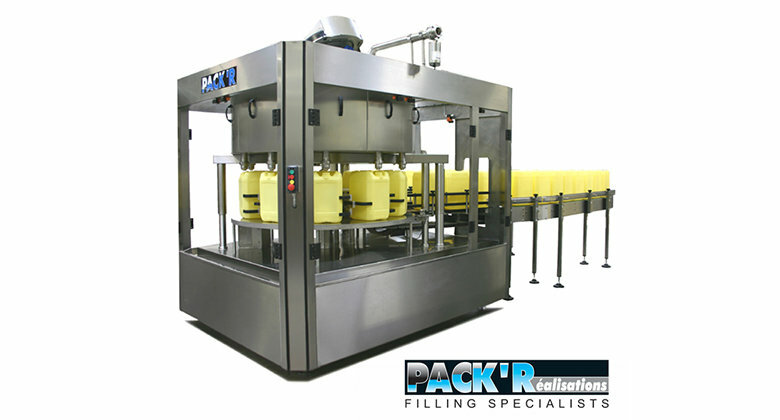 A combination of filling and capping stations can be offered to suit the individual application. If required up to 3 different styles of closure can be accommodated with a station dedicated to a cap style for instantaneous change over. Suitable for virtually any free standing containers such as jerry cans, round containers with an offset orifice, buckets with membrane & lid and bottle in box. 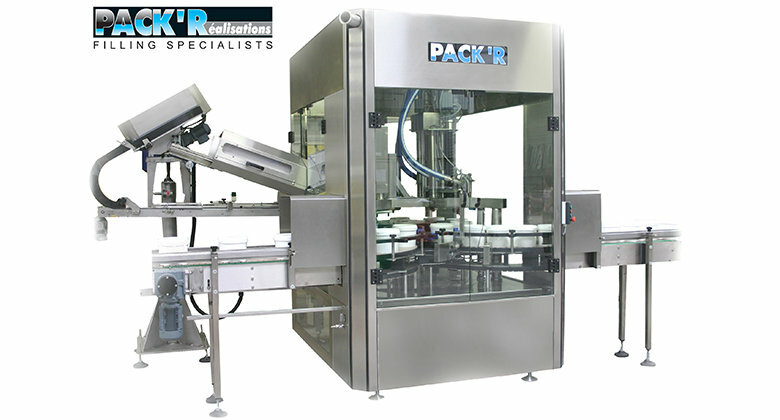 Available in several sizes depending on container range which dictates the pitch of the machine, offered with a combination of timed dosing on the first filling heads and electronic weight control on the final fill station. Option for additional scale at the infeed station for net weigh filling of variable weight containers.